Blind date can make you nervous and perhaps you have heard many horror stories. They do not have to be the way though. There are some blind date tips for you to have an ideal blind date! First impression is very important as we usually form an opinion of an individual within few minutes of meeting him or her. This kind of dates does not differ from others. Your first impression sets the start for the whole date, and the first blind date advice is to be sure and prepared in advance! Select clothing that will be suitable for the date; it should be casual for a cinema or dressy for a dinner date. Don’t wear strange or too revealing clothes. Get a trim or fresh haircut to look neat. Trim your nails (pedicures and/ or manicures are always nice). You should shine your shoes, and iron your clothes. Make sure that you shaved, had a shower, and smell good. But do not overdo perfume or cologne. Remember, you have only one chance, so create good first impression! Plan your date ahead, but be flexible so that your plans can be easily changed if needed. If you are planning a date at a party and realize that your evenings are more quiet and reserved; why not opt for a dinner date? The important blind date tips for woman: if your date means that he should pay, it is up to you to decide whether you take that offer. This is the first meeting and you may want to show from the beginning that you are ready to pay for a half of everything, this way you get rid of the feeling that you owe this person anything. 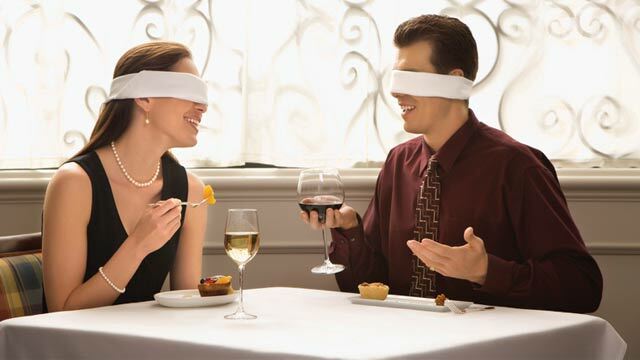 2.Safety in a Blind Date. This can be exciting and fun, but don’t forget that this date is the first meeting. If you have mutual friends, you might know something about this person and friends might know your evening plans. If not, you should take some extra precautions. Make sure your friend knows the place of your date and name of the person as well. Carry a mobile phone always with you. The other option may be to make your date be “double”, where you have a friend join you. 3.Choosing a Place for a Date. The rule number one is to choose a public place. Not only it will be safe, but also here you are likely to have fun and feel relaxed. Wherever you go, keep your actions casual and comfortable. Arrive earlier and offer an affable greeting and handshake after he or she arrives. Be friendly and smile, even if you feel nervous. Blind date advice for men, you should be a gentleman and, of course, open doors, then hang up woman’s coat and pull out her chair. Blind date advice for women, thank him and polite if he does these things for you. Don’t forget that this is actually a blind date and if you get your expectations very high, certainly you’ll be disappointed. We all want to have highly intellectual, good looking, and slapstick funny meetings with a plenty of cash. But that is not reality though. And the next blind date advice is to be realistic and free of too high expectations for the date. These blind date tips will allow you to have a good time and relax rather than be disappointed because the date not goes well. Saying goodbye ending your blind date has all chances to be very embarrassing. When your date comes to the end, do what you feel will be right. It is no matter what, you have to thank the person. If your evening was good, let them know this and mention that you would really like to meet him or her again. If it was not good, then you have not to suggest or agree to date again, nor have to give the phone number. This can disappoint him or her and create false impressions and hopes. It is better to be up front and honest, but you should do it very politely. If you do not want to see the person again, you can say “I think we have not enough in common”. Be kind and always try to spare the feelings of the person you spent an evening with. Have a good blind date! Do not forget to see a lot of free asian dating sites we have recommended you.